PALMDALE – Detectives from the Palmdale Sheriff’s Station are seeking the public’s help to find a 16-year-old Palmdale girl who went missing in February. 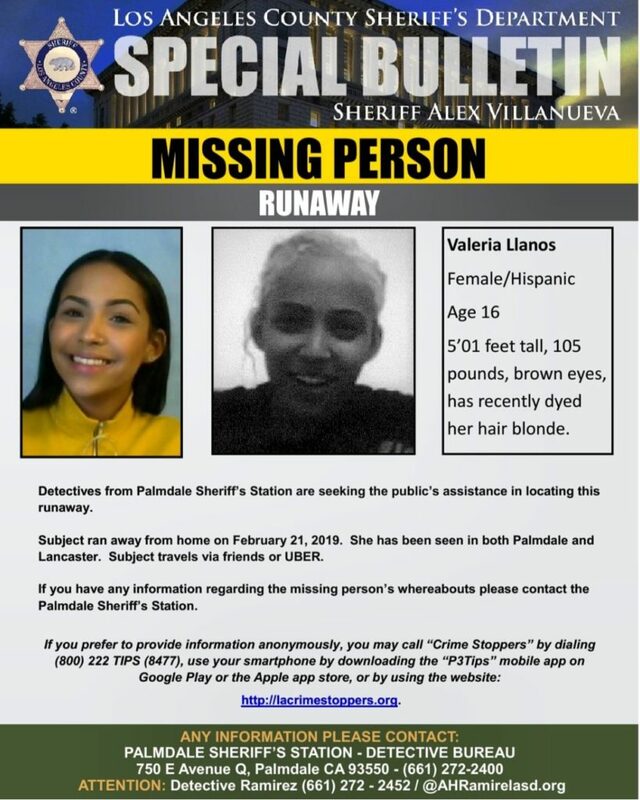 Valeria Llanos ran away from home on Feb. 21, 2019, and has since been seen in both Palmdale and Lancaster. She travels via friends or through Uber, detectives said in a news release. 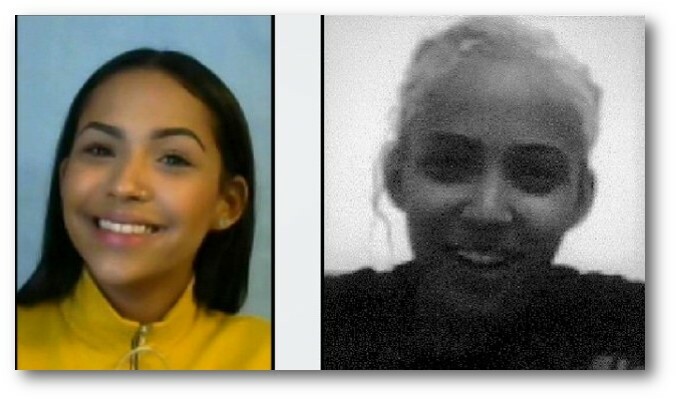 Valeria is Hispanic, 5 feet 1 inch tall, weighs 105 pounds and has brown eyes and recently dyed blond hair. Anyone with information regarding her whereabouts is urged to contact Palmdale Station’s Detective Ramirez at 661-272-2452 or 661-272-2400. Anonymous tips may be submitted through Crime Stoppers at (800) 222- TIPS or at lacrimestoppers.org.